I hardly ever bake and, when I do, it’s almost never a cake I’m making. But when I came across this torte the other day I knew I had to have it. 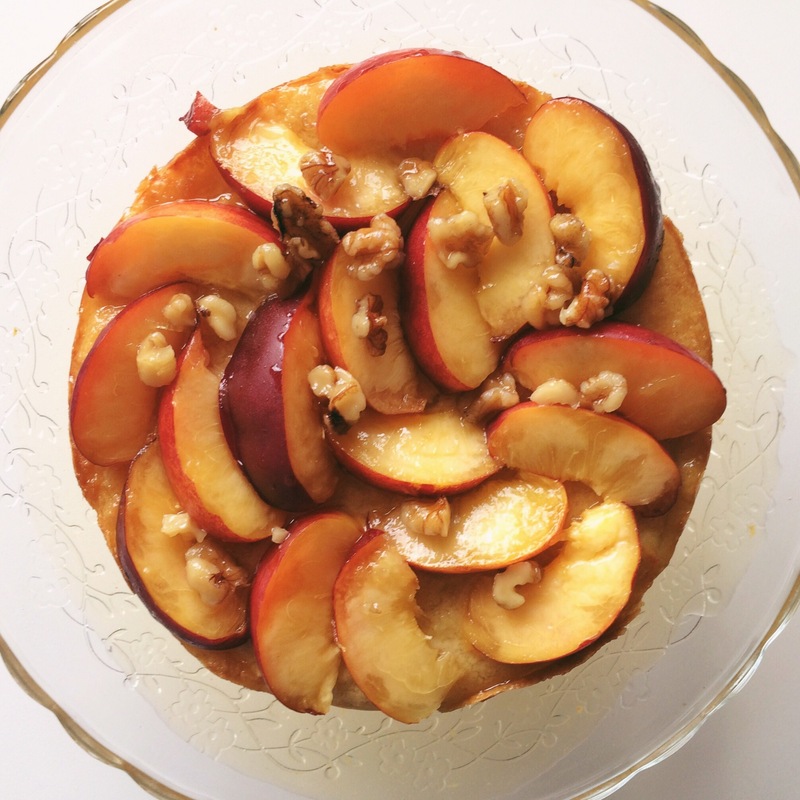 One of my favourite things to eat is plain yogurt with some nectarines, granola and honey and this torte seemed to encapsulate all those beautiful flavours, in cake form! Heat the oven to 160°c (140°c fan) gas 3 and line the base and sides of a 20cm lose bottomed cake tin. 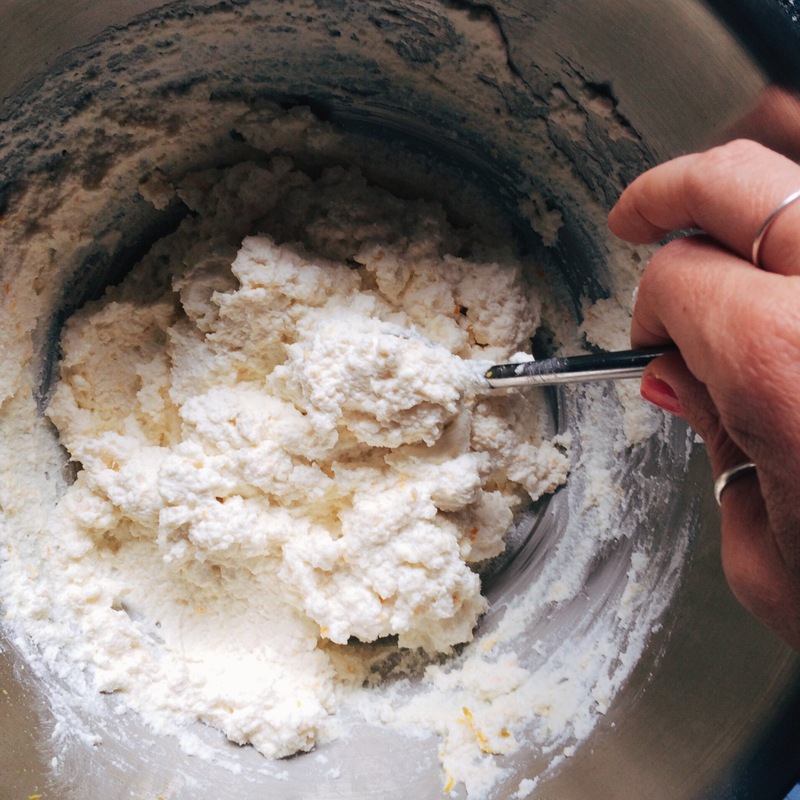 Beat the sugar and butter together in a large bowl with an electric mixer until light and fluffy. In a separate bowl lightly whisk the ricotta with the orange zest and vanilla until smooth. Add the eggs to the butter and sugar, one at a time, beating between each addition, then add the ricotta mixture and beat until combined. Sift over the flour and baking powder and stir gently to combine. Spoon into the cake tin, level the top, then bake for 60-70 minutes until it feels springy to the touch and a skewer pushed into the centre comes out clean. Let the cake cool in the tin for 15 minutes then turn out onto a wire rack to cool completely. Meanwhile combine the honey and 100ml water in a small saucepan, bring to the boil, then reduce to a simmer. Add the lemon juice and zest then bubble gently for about 5 minutes. Add the chopped walnuts and set aside to cool. It will thicken as it cools. If it gets too thick to pour, stir in a splash of water and bring it back to a simmer. 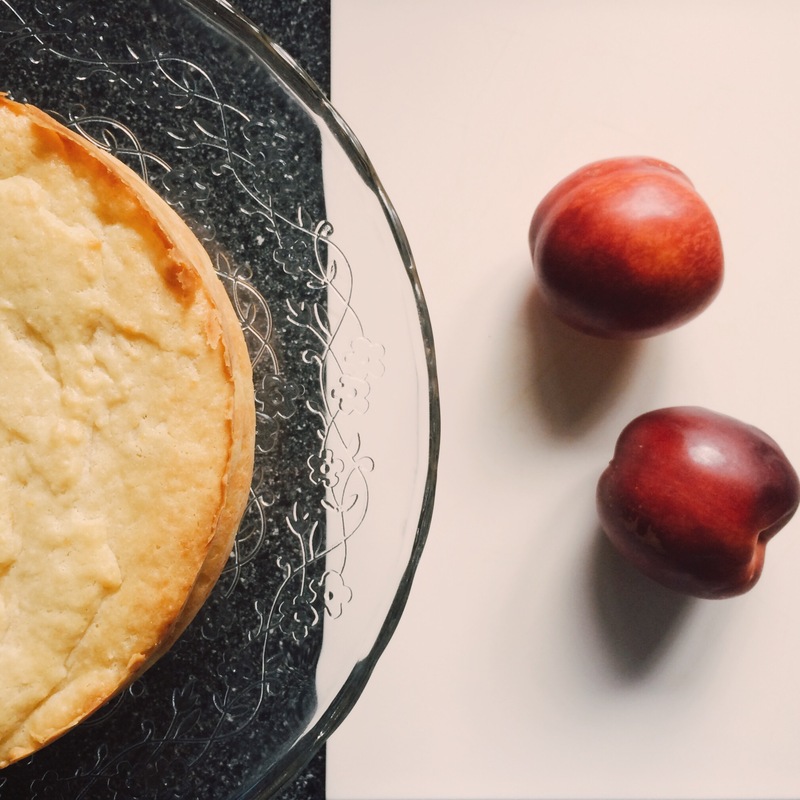 Stone the nectarines then slice into crescents and arrange on top of the cake. 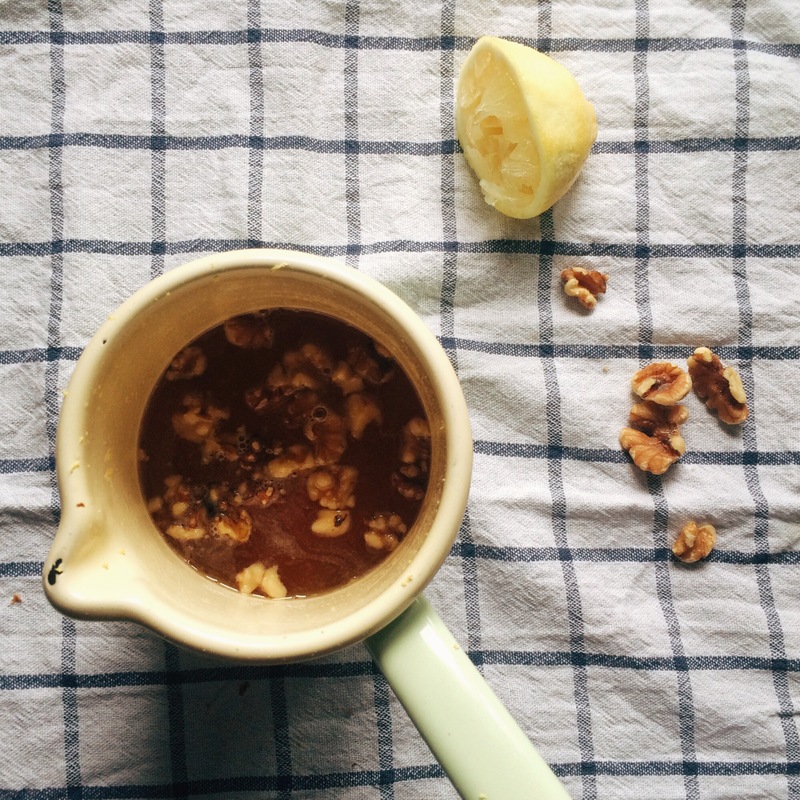 Drizzle with the honey and nut syrup to serve. Enjoy!